Web Service fails to communicate to internal realms. 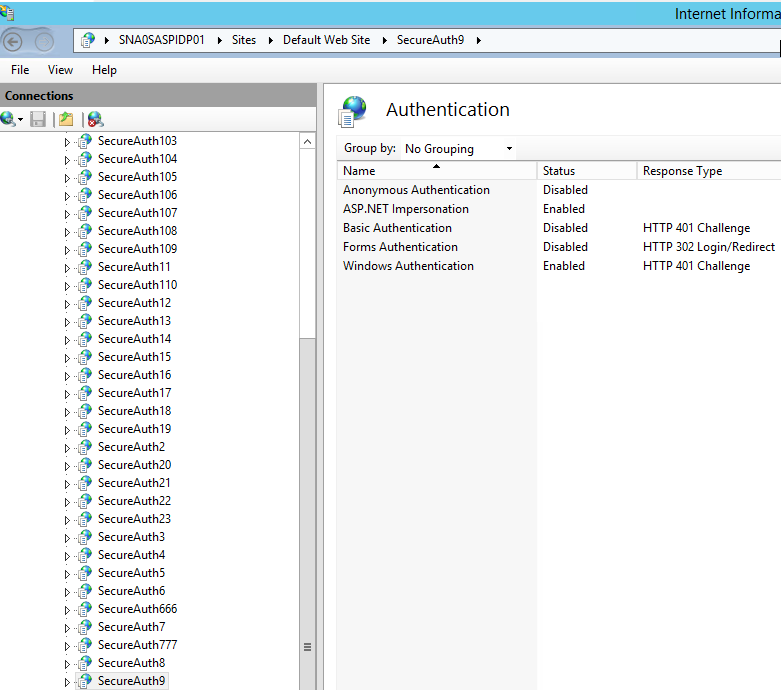 One of the causes for this web service call failure could be due to the IIS authentication of the internal realms. Check and change respectively the internal realm IIS authentication to match the proper settings for an external web service calling in. For the sake of this article, let's say SecureAuth109 is an internal realm and SecureAuth9 is an external realm. If SecureAuth9 is using web service to communicate and direct traffic to SecureAuth109, please check IIS authentication if web service is failing. 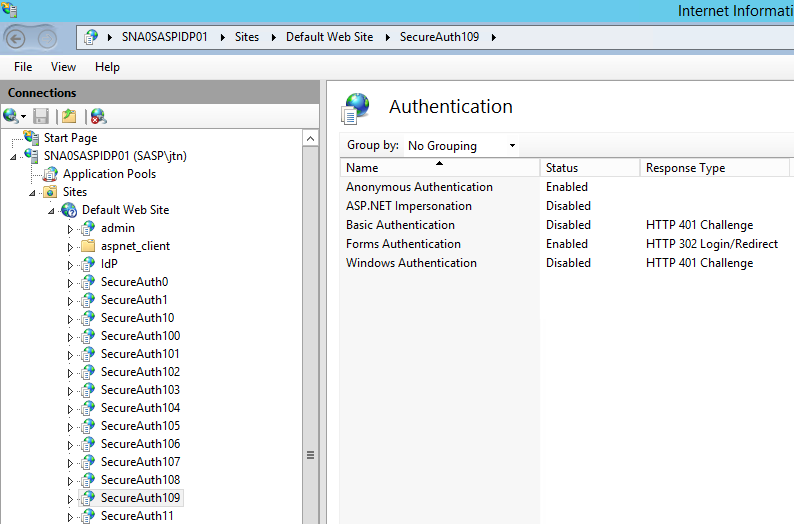 As we can see, 109 is using forms based authentication and anonymous. We see here that 9 is using Windows and ASP.NET impersonation. So please change the respective authentication methods. Disable by either right-clicking or going to the right-hand column. Then enable the correct ones respectively.